Boscobel’s new Youth Trap Team has proven more popular—and successful—than even its organizers could have imagined since its first meeting in March. As of Sunday, the team had 38 members in grades 6-12, including six girls, and was in first place in their conference. The Boscobel Area Schools Bird-Dogs Youth Trap Team is not sanctioned by the school district, but is able to use the school’s name on their t-shirts and registration materials. Not that the team doesn’t have strict guidelines, with gun safety rules, and conduct and disciplinary policies firmly in place. “Shotguns are inspected regularly and everyone’s been very good with safety and following the rules,” said Greg Plotz, who along with David Schoettler are the two certified Hunter Safety Instructors working with the team. They are joined by about a dozen adult volunteers. 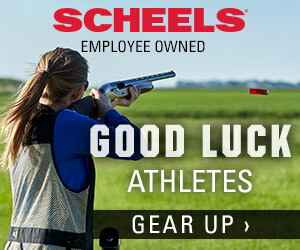 In fact, as of Sunday, Boscobel had seven of the top ten shooters in Class A Conference 5 of the Wisconsin State High School Clay Target League (WSHSCTL) and three of the top ten girls. 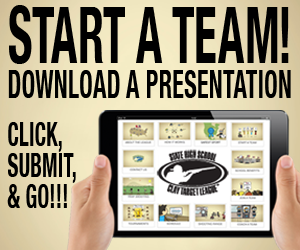 They compete against Tomah and St. Croix high schools. Several team members have hit 25 of 25 targets in practice and Drew Brown recently shot 25 for 25 in league competition. Shooters meet at the Boscobel Sportsmen’s Club Sunday afternoons at 1 p.m. and Mondays at 4:30 p.m. The Sunday session is made up primarily of students involved in spring sports. Team members shoot 50 clay birds once a week and a shooter may close the gun only after the previous shooter has completed his or her turn. No shooter may turn from the shooting station before the shooter’s gun is open and empty. Scores are recorded online, making it a virtual league. Students do not travel to other schools to compete, although most of the team has already signed up for the State Tournament June 6 in Rome, which is located a few miles south of Wisconsin Rapids in Adams County. The cost of the league is $150 per athlete, although there is some financial aid for needy families. Through donations, the team is able to provide safety glasses and ear plugs for team members. The team will also be working with Sunset Creek on a meat sale fundraiser. “Our sponsors have been great; we couldn’t do this without them,” said Pelz. The team has about two dozen area sponsors. The larger ones include Bemis-Curwood, Universal AET, Whitetails Unlimited, Adams Engineering & Survey, Tall Tails Sports & Spirits, Brown’s Guns, Powerhouse Electric, Tim Brown, Plotz and Schoettler, Robin Orlandi, John Latham, Glasbrenner Insurance, Boscobel Bowl & Banquet, Bob’s Auto Body and Ideal Builders. 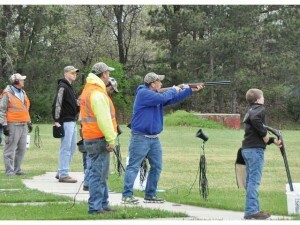 Interest in youth clay target shooting is increasing across the state. Last year the WSHSCTL had six teams, this year that number has grown to 23 teams with more than 500 shooters.